We serve the entire Rancho Cucamonga area including Ontario, La Verne, Chino, Highland, Riverside, Corona, and Baldwin Park. 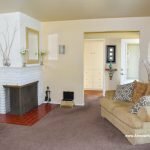 Looking for Rancho Cucamonga temporary short-term housing? Let Almost Home impress you with our outstanding Rancho Cucamonga corporate housing options. Almost Home offers the following local advice and information to make your stay in Rancho Cucamonga furnished apartments a great experience. If this is your first time in the area, you will notice the Mexican influence that pervades its architecture, its people and its food. More often than not, the homes are constructed in Spanish-style terracotta themes. Stepping out of your Rancho Cucamonga corporate apartment is guaranteed to be a pleasant experience. The climate and temperatures here are absolutely invigorating, similar to the rest of southern California. Olives and citrus grow easily here and form some of the best agricultural bases in the state. On average, it stays near 80°F for the highs, about five months of the year then tapers off to 60s for the rest of the year, the lows get into the forties in the winter. The coldest it ever gets can be handled with a sweater and a jacket. The economic base of Rancho Cucamonga area is primarily centered around the Ontario International Airport. Additionally California's sole mini steel plant is located here. The other sources of income that supports this city of 165,000 are the services industry and the state of California. The food here is part of a larger international culture, an amalgam of various cultures that come together resulting in an amazing set of flavors that can only be classified as Californian. While you will certainly find the usual burger joints and pancake houses, you will also find Mexican, Indian, and Japanese food. So bust out of your Rancho Cucamonga temporary housing and test out the local fare. El Cerrito Mexican Restaurant on Archibald Ave: It sometimes feels like the best Mexican restaurants are actually north of the border instead of south of it. El Cerrito is one such place. Here the Spanish Omelette is magnificent and the Machaca con Huevo is sumptuous. Try the Carnitas Plate with deep fried pork with pico de gallo and guacamole. Fleming's Prime Steakhouse & Wine Bar on Monet Ave: Start off with a glass of one of their 100 wines. Then try one of the outstanding appetizers:Tenderloin Carpaccio or the Jumbo Lump Crab Cakes. For the main entree, the Porcini Rubbed Filet Mignon is superb, or try the Prime Ribeye with drawn butter and accompany it with a Truffled Poached Lobster with bearnaise sauce and caviar. Haandi Indian Cuisine on Haven Ave: There are numerous good choices here. Some options worth your consideration are the Tandoori Delicacies, the Chicken Tikka, and the Lamb Tikka. They are tender pieces of meat marinated in fresh yogurt, herbs, spices and a secret rub. The resulting flavor, once it is cooked to perfection in a clay tandoor, is unimaginable. Boston's Gourmet Kitchen on 4th St.: Pizza's should be made from scratch everyday and that's how it is done here. They go through the steps daily to marry the freshest ingredients with the finest recipes that result in the greatest tastes. They serve a lot of things here other than just pizza and pasta, but by far, the pizza here is the best option. Even a simple Pepperoni Pizza here is a work of art. You also might like the Hawaiian or the Sicilian; and you will learn, first hand, why this is one of the best pizza places in Rancho Cucamonga. Gandolfo's New York Delicatessen on Milliken Ave: Some times when all you need is a good sub or a tuna sandwich and nothing else will do, that's when a place like this hits the spot. They make a mean tuna melt here and a really superb Coney Island Dog. If you like New York style subs then the Pastrami on Rye is something you will enjoy. Central Park, is another NY themed sandwich Pastrami, and Swiss. Museums: There are a number of museums in Rancho Cucamonga that you should take the effort to visit while you are here. The first on the list is the John Rains House on Hemlock St. There is also the Chafey-Garcia House on Etiwanda Ave. There are some interesting collections at both of these places. Performing Arts: There is some cultural experiences to gain from theaters in Rancho Cucamonga. There will always be entertainment for you to enjoy here in one way or another. One place to check out is the Victoria Gardens Cultural Center on Cultural Center Dr. Golf: There are numerous golf courses across all of southern California. Some of them are right here in Rancho Cucamonga like Empire Lakes Golf Course, located on 6th St. and Red Hill Country Club on Red Hill Country Club Dr. or Upland Hills Country Club on E 16th St. Parks and Recreation: California offers some of the best parks and recreation facilities in the nation. There are even numerous picnic sites around Rancho Cucamonga that you could spend the evening walking your dog or just running to work up a sweat before hitting one of the really good restaurants downtown. 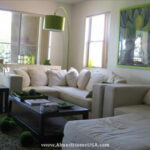 Our furnished apartments in Rancho Cucamonga should set you up with every need and luxury. Once settled in to your temporary housing, get out and enjoy this charming place.